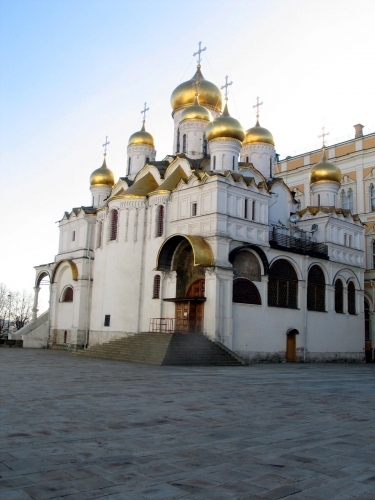 The Annunciation Cathedral in Kremlin was built in 1484-1489. 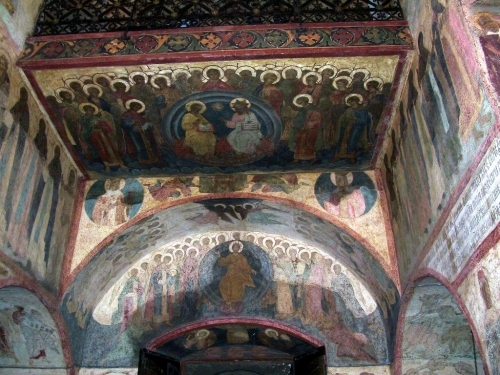 Inner walls are covered by the unique frescoes of the 16th century. 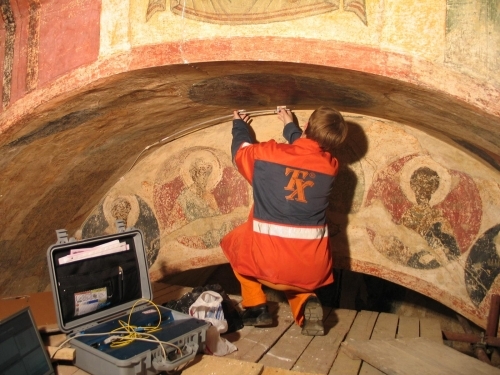 The Cathedral is famous for its icons painted by world-renowned Russian masters like Andrej Rublev and his pupils. Deformations are caused by seasonal temperature fluctuations and are not dangerous to the current state of structures. According to the results of the measurements, structural deformations were initially related to the changes of temperature inside the building +/- 2°. Due to heavy raining there was a drastic increase of structural deformations.